A course of SIBO antibiotics is often one of the first recommendations from any gastroenterologist to treat SIBO. This is because antibiotics are one of the quickest and most effective treatment options available for people suffering from SIBO or IBS. But, there are things you NEED to know before proceeding with one of these treatment options. 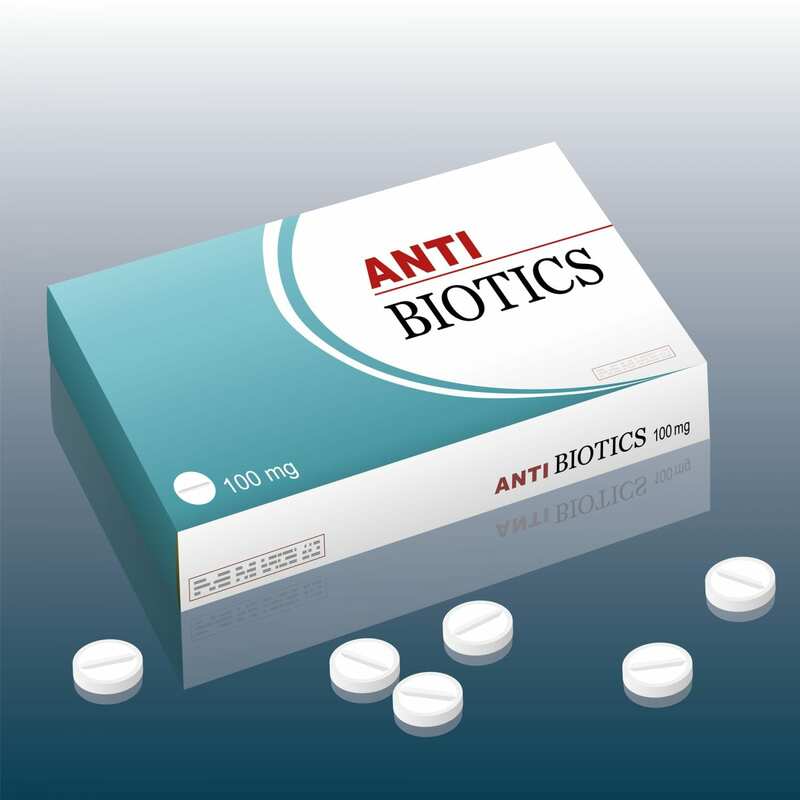 1 How Do Antibiotics Treat SIBO and IBS? 9 Why Does SIBO Relapse? 10 What Does it Mean if SIBO Antibiotics Don’t Work? 11 Can You Treat SIBO Without Antibiotics? How Do Antibiotics Treat SIBO and IBS? First of all, if you don’t understand the basics of small intestine bacterial overgrowth which is found in 60-80% of people with IBS, I would recommend reading this article. Basically, antibiotics treat SIBO by killing the overgrowth of bacteria in the small intestine. Antibiotics do this by either stopping bacteria from replicating or destroying them. The reason we want to kill bacteria is that people with SIBO have accumulated too many bacteria in their small intestine (there should be much less) which cause debilitating digestive symptoms such as gas, bloating, diarrhea, constipation, fatigue, and abnormal stools. When you treat this imbalance of bacteria in the small intestine with specific antibiotics, you reduce the amount of gas being produced, which can reduce symptoms. While there are a few different antibiotics usually prescribed to treat SIBO and IBS, the most common antibiotic is Xifaxan (Rifaximin). The main difference between Xifaxan and other SIBO antibiotics is that it is very minimally absorbed throughout the body and works specifically in the gastrointestinal tract. This means that you are less likely to have toxic or systemic side effects compared to other antibiotics. More so, Xifaxan decreases mucosal inflammation which is likely another reason it helps IBS patients. 4 Because of these properties, Xifaxan is a top antibiotic chosen for SIBO treatment. Xifaxan has been studied and used in all subsets of IBS and SIBO patients including diarrhea, constipation, and mixed type patients. But, it’s important to understand that there are differences in the study results when Xifaxan is given under different protocols for diarrhea and constipation type patients. In this section, we will go over Xifaxan’s use in IBS and SIBO patients with diarrhea specifically. Xifaxan is one of the best antibiotics for SIBO and IBS with diarrhea. In a number of different studies, it has been shown that a 2-week course of Xifaxan at a dose of 550 mg 3 times per day provides significant relief of IBS/SIBO symptoms, such as bloating, abdominal pain, and loose or watery stools. The only thing you need to keep in mind when using antibiotics is that relapse can occur after treatment, so it’s vital to take preventative measures and continue to improve your overall digestive function. That being said, using Xifaxan for SIBO in patients who have diarrhea as a predominant symptom is usually a very effective option. Xifaxan is also used in constipation cases but there has been different research findings and outcomes using it with constipation. It’s important to note that usually Xifaxan is used alone only in people with diarrhea or mixed type symptoms, whereas it is used in combination with other medications in constipation-predominant cases. Despite this, there is some evidence that Xifaxan alone can help some people with constipation, such as this study. As with all medical treatments, each person has a unique body and using Xifaxan alone for constipation may not be helpful for everyone. But, it has been reported that using Xifaxan in combination with Neomycin (rather then either alone) for constipation can be much more effective. In this study, patients who tested positive for methane on the SIBO breath test (which usually indicates constipation type symptoms) were split into 3 groups. One group got Xifaxan alone, one just Neomycin, and the last group a combination of Xifaxan and Neomycin. 85% of patients getting combination treatment also noticed an improvement in their symptoms. These results show why Xifaxan alone is not the best option for those with constipation type symptoms; Xifaxan and neomycin work synergistically to treat different organisms in the gut, improving overall symptoms. There are pros and cons when deciding to use SIBO antibiotics like Xifaxan. I think it’s important to touch on the relapse rates after using antibiotics for SIBO. This helps you make the decision whether to try natural treatments initially or go straight to antibiotics, especially if you have to do multiple courses. I think you will find that in the long run, it’s important to incorporate a mostly natural strategy, only using pharmaceuticals when your symptoms are very severe. In this study, the aim was to investigate SIBO recurrence in patients after successful antibiotic treatment. They took 80 patients treated with Xifaxan and reassessed them 3, 6, and 9 months after their breath tests normalized. The results are informative and very important for people who use antibiotics to understand. They also showed that being older, having your appendix out, and chronically using proton pump inhibitors (like Prilosec) increased the chance of relapse. This means that if you have other health issues that are affecting your gut function you will be more likely to relapse and become a chronic SIBO patient. This study is very important to understand; it shows that while antibiotics can definitely help a lot, they are only one helpful tool in the overall treatment strategy, and not a magic cure. In reality, many people deal with relapse and have to find a combination of strategies to help maintain their symptom relief while preventing recurrence. This is a great question to ask any doctor or researcher who studies SIBO or IBS. There are many hypotheses right now but no final conclusion. Whoever figures out the solution to the relapse problem will be a rock-star! As mentioned above, SIBO is often a chronic condition, and like the study above showed, recurrence can occur even after a successful course of antibiotics. It is thought the main reason recurrence occurs is that there is an underlying problem with gut function or the migrating motor complex (MMC). Some patients who develop bacterial overgrowth have abnormal MMC, meaning that the waves that normally cleanse their small intestine are not effective. Therefore, they do not clear the bacteria and undigested materials as well as other people. When these small intestine cleansing waves are damaged, it allows bacteria to accumulate, causing SIBO symptoms. What Does it Mean if SIBO Antibiotics Don’t Work? While antibiotics are usually very effective for SIBO (at least in the short term), for others, they may not work at all or for only a very short period of time. This can be very frustrating. So, what does this mean? Can You Treat SIBO Without Antibiotics? This is an important question many people ask after looking at the SIBO antibiotic relapse rates, side effects, and the cost of purchasing Xifaxan. Yes, you can definitely treat SIBO without antibiotics and in many cases, this may be a better strategy over the long term. When you realize that most people will relapse after a successful course of antibiotics it makes sense to consider treating SIBO naturally and taking a more gradual approach. Remember that while some treatments work for others, they may not be the best for you. Everyone has a different health history and underlying causes contributing to their issues. It’s best to consult with a doctor for specialized advice. If you’re thinking about taking SIBO antibiotics like Xifaxan, know that they can work effectively and quickly. However, a course of Xifaxan is very expensive and you may still have side effects. Also, remember that there is a chance you may relapse once you stop taking the antibiotics. If you are someone who is dealing with a stubborn case of SIBO- and willing to spend the money on Xifaxan- it can be a good option. On the other hand, if you don’t want to spend as much money and want to take a gentler long-term approach, using a natural treatment protocol may be your best bet. Using herbal antibiotics, the elemental diet or long-term diet changes can be just as effective as antibiotics. If you want to review all the different treatment strategies used for SIBO before making a decision see this overview. Xifaxan. I had no idea… You’ve given me a lot to look into, and I’m glad most of it is natural. I find that probiotics help me. Does xifaxan kill good bacteria? Most antibiotics kill both “good” and “bad” bacteria. It has been shown in studies that Xifaxan does not have systemic effects and acts only in the gut, so it does not do as much damage as a typical antibiotic. Some doctors consider it a ubiotic but personally I would still be careful with the side effects of using it too much.